We offer an elite variety of Solar Absorber Fin that is manufactured using best quality components obtained from trusted vendors of the market. 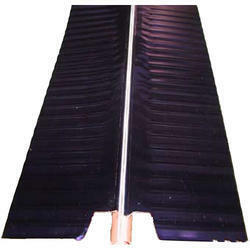 These unglazed flat plate collectors can be availed in copper along with a very thin absorber plate to reduce cost. High thermal conductivity risers are used to lift the absorber fins.